At Dolleymores, our Trade Mark Attorneys have the necessary expertise and experience to rise to a trade mark challenge – and this was certainly the case with UK Biobank, a charity set up by The Wellcome Foundation. Having first made our client aware of the poor chance of acceptance, we applied to register the trade mark UK BIOBANK in the UK. As expected, this was initially refused on the basis that prima facie the mark is descriptive and lacks distinctiveness for most of the services specified, namely, the collection of DNA and other personal samples to build a database for health research purposes. As trade marks which are otherwise unregistrable can be accepted for registration on the basis of distinctiveness acquired through use, we set about the collection of evidence to support such a claim, to try to overcome the objection to registration. The evidence usually required relates to turnover, length of time that the mark has been used in the course of trade, promotional expenditure and advertising on a significant scale. 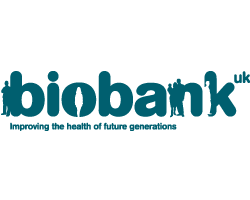 Unfortunately UK Biobank did not have any of this, but we were able to show that the charity had recruited 500,000 people aged between 40-69 years in 2006-2010 from across the country to take part in this project and could provide evidence of the way in which they were recruited (and that this extended to far more than the 500,000 actually recruited). The objection to registration was maintained despite the evidence of acquired distinctiveness and so we attended a Hearing to discuss the matter further. After extensive research we located an obscure EU decision which accepted that publicity for charitable causes should be taken into account in relation to evidence of acquired distinctiveness. After considerable discussion, the UK Hearing Officer was duly persuaded and accepted the application which was subsequently registered. In view of the very poor chance of registration when we originally filed the application, this was a significant achievement by the Dolleymores team and highlights the dogged determination which underpins our professional services.